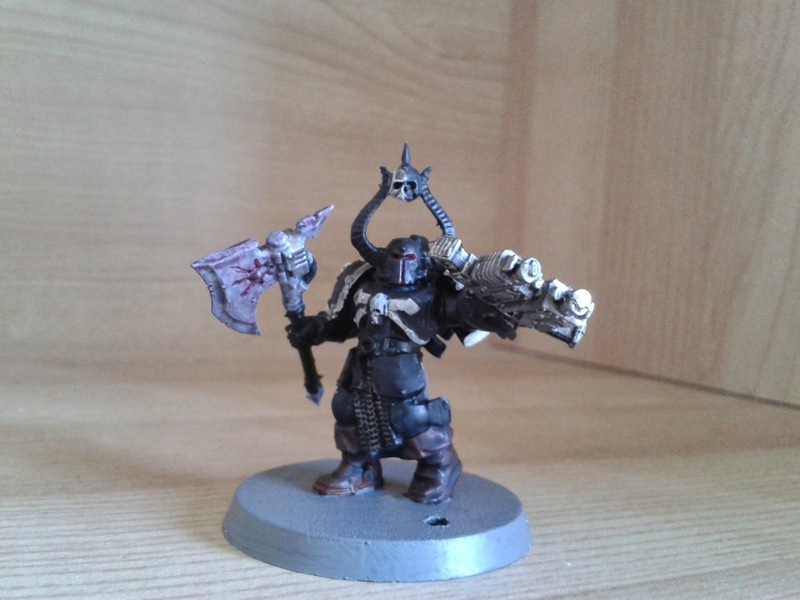 A while back started a WH40k Chaos Space Marine army. But this was an army with a difference, not only would the army be dedicated to Malal, a chaos god GW had to drop for legal reasons whose primary sphere of influence is discord and anarchy, but the marines would be a kit bash between chaos space marines and chaos warriors. There are a few pictures and posts of these models last year and progress has been slow. 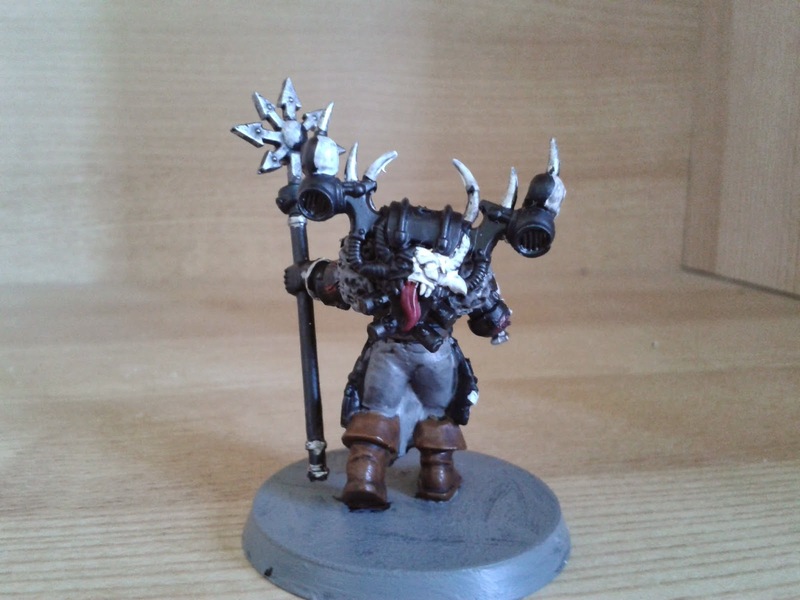 But this weekend i decided to do some work on the army. 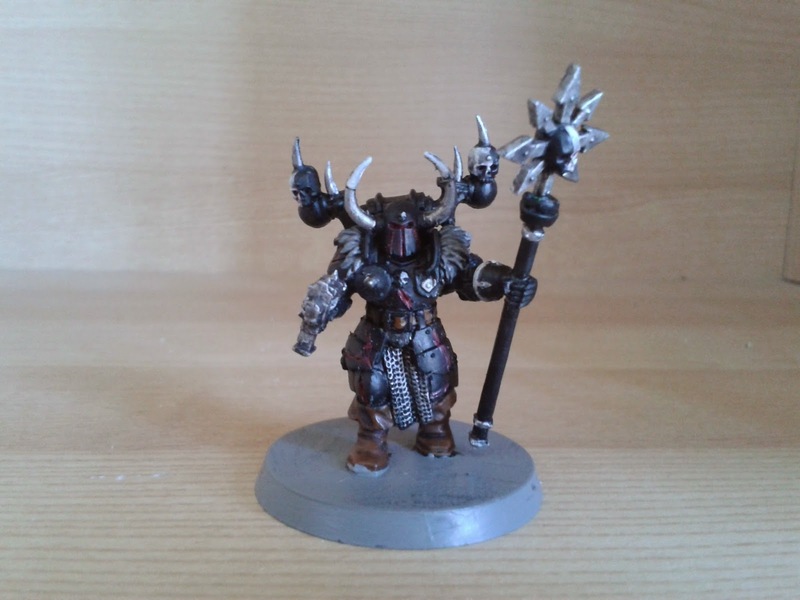 One of the results was more painted models, the second result was a fully built, custom designed Dark Apostle model, this would be the third HQ model made for this army, pictures below. 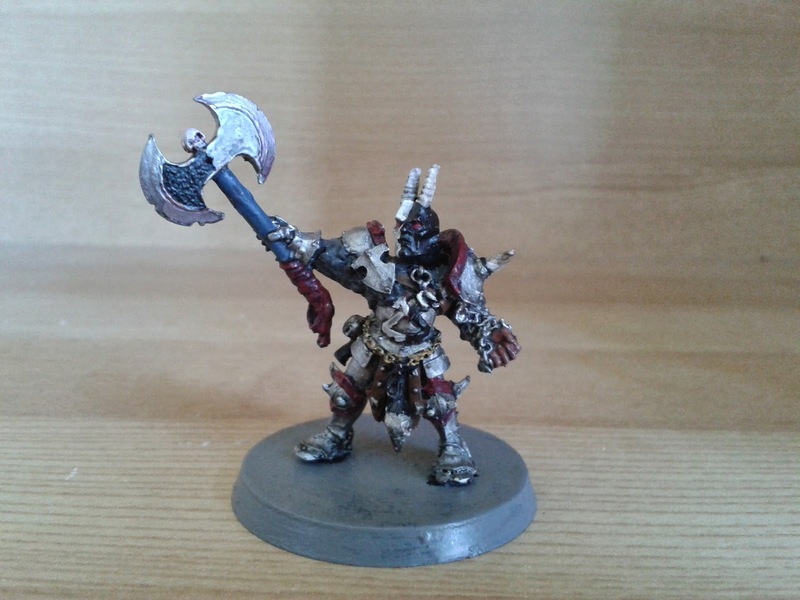 He comes fully equipped with a Combi Bolter and Power Axe (maul). 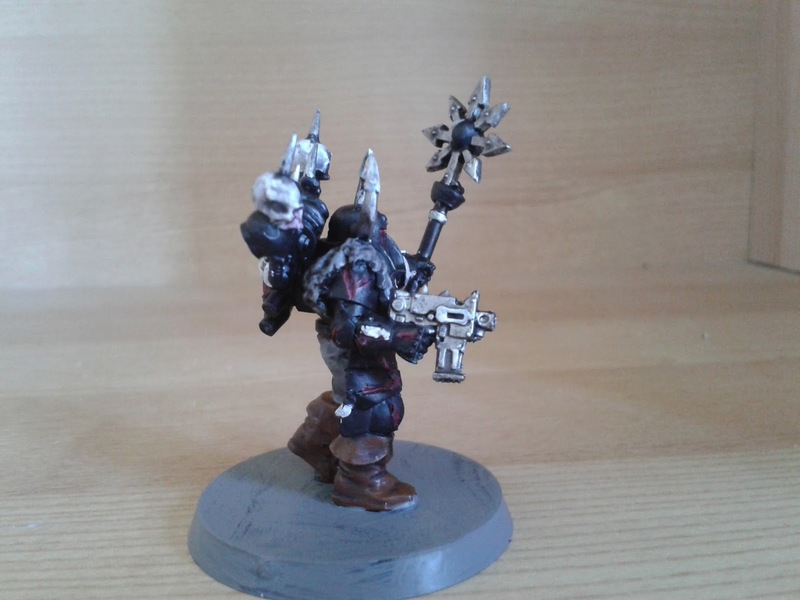 He will end up leading the close combat squads in 40k games. 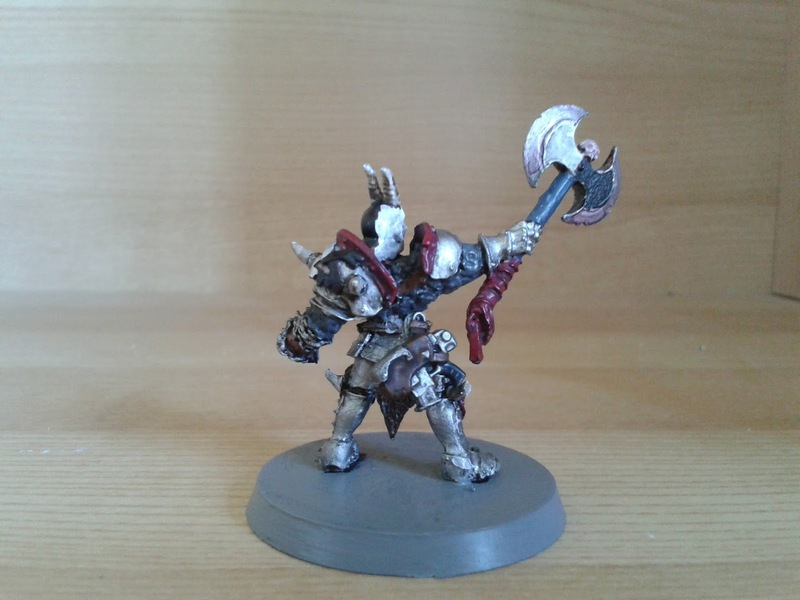 Below are some images of the other HQ selections of my army. 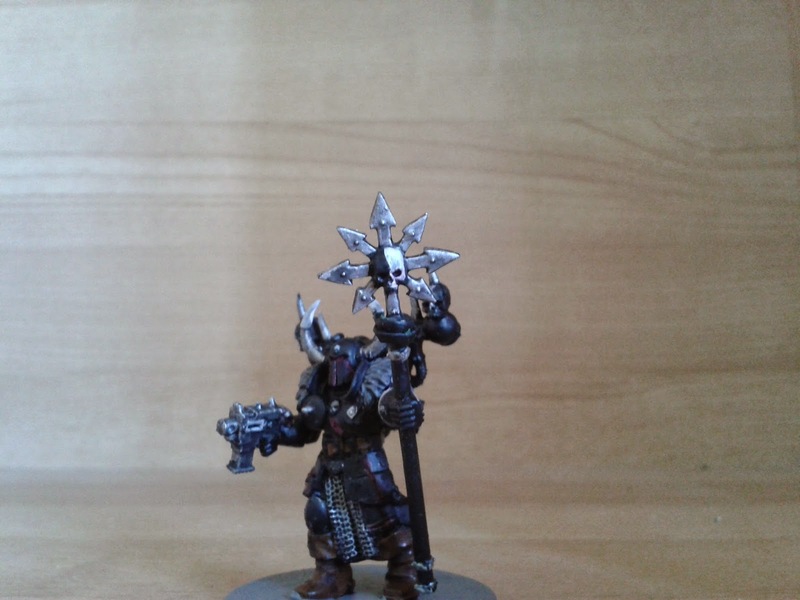 Presenting the Chaos Sorcerer option of the army, he has a force staff, bolt pistol, 3 levels of psykic mastery and powers from the lore of Nurgle and Biomancy (as Malal doesn't have a mark i am using the mark of Nurgle because +1 toughness is cool). 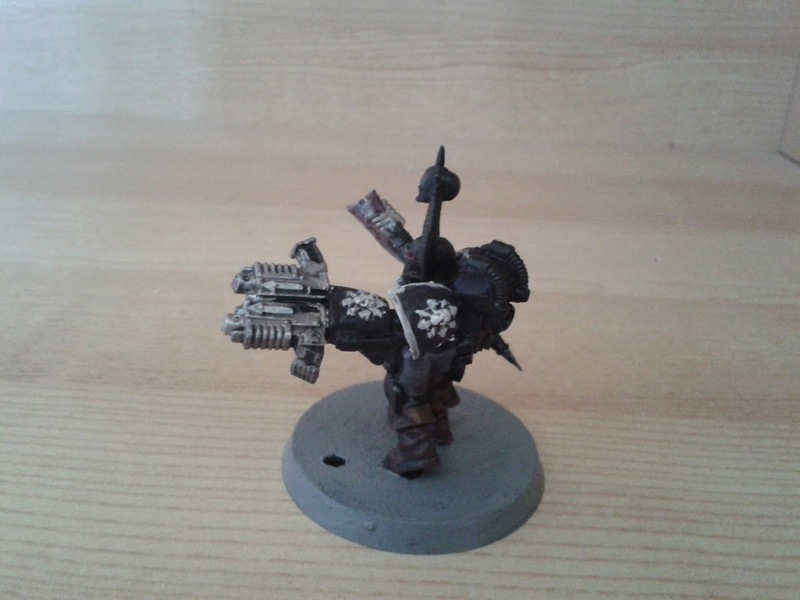 And finally i present the leader of my marines, the Exalted of Malal the one known only as The Man. 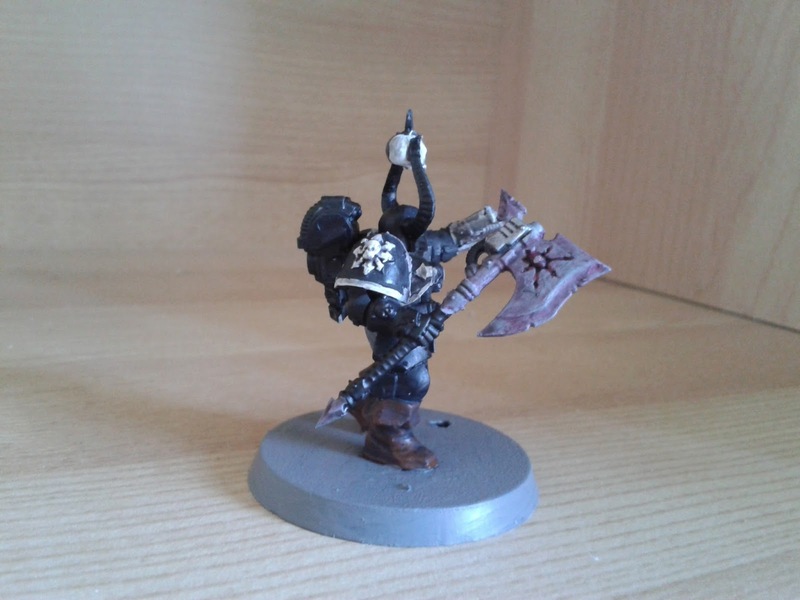 He wields the Black Axe (Mace), Sigil of Corruption, Ichor Blood and a bolt pistol (note that they all of the gift of mutation because why wouldn't you take it). The Man is the whole reason this army exists. Its a fairly long story that i will post at some point. On top of these 3 i am designing a unique demon prince model but thats a ways off yet. Until next time. Such a cool army. I especially like the troop choices. Cant wait to see more on the battle field.